TextShot lets you easily send SMS* and iMessages to groups of friends or colleagues. Messages are sent directly from the app with a single tap of the TextShot logo on the title page. This version lets you try for free, with 2 groups of up to 4 contacts, and can easily be upgraded with an in-app purchase to remove those limits. "TextShot Pro", without those restrictions, is also available on the App Store. From the makers of the popular "MailShot" group email app, TextGroup features all the same methods to quickly create groups from your contacts. 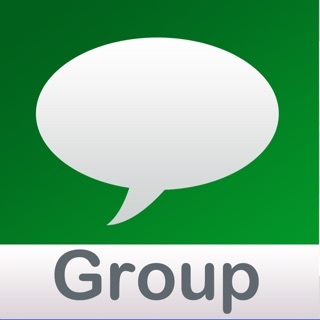 • Create message groups by adding contacts from your address book. • Replicates the look and feel of our popular “MailShot” group email app. Works as advertised. Just need to make it cloud compatible so you don't have to make groups on all your devices. Would be nice if it had the ability to rotate so you didn't have to rotate your device when using an I-pad. Other than that, no complaints. I just spent 30+ minutes creating a group. The app crashed and everything was lost.